Pull the trigger on hard-hitting slugs from one of the most trusted names in ammo. Maximum knock-down power! Federal® Classic slugs get the job done in your choice of styles. Rifled hollow point slugs feature a one piece cushioned wad to help reduce felt recoil, while the hollow point gives positive expansion... works in any smooth-bore barrel. Saboted hollow points offer maximum penetration and excellent accuracy for your rifled barrels or choke tubes. 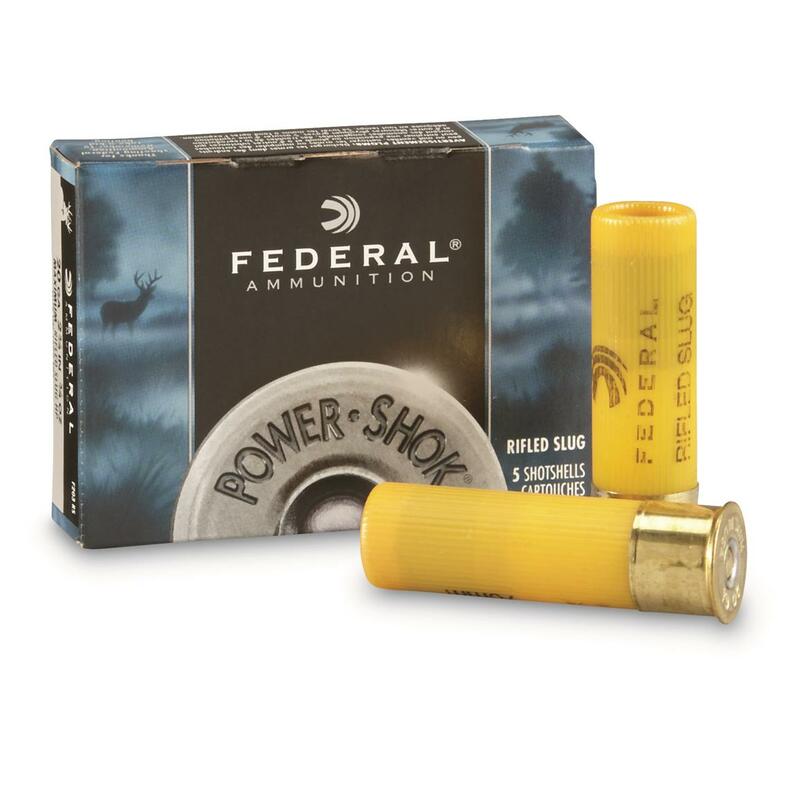 Federal Classic, 20 Gauge, 2 3/4 3/4 oz. Slugs, 5 Rounds is rated 4.9 out of 5 by 12. Rated 5 out of 5 by Bowhunter from Great value I tried 6 different brands after Hastings went out of business. This grouped the best out of my H&R break action bull barrel. Rated 5 out of 5 by monk from 20 ga. slugs Have not used yet ,but federal always makes good ammo.Quick shipping to. Rated 5 out of 5 by CHRIS from Federal slugs are quite accurate from the experiences I have had with them! Great quality product! Rated 5 out of 5 by TIMOTHY L from More great ammo from the Guide! A load faster than the pheasants.